Tulips, tulips and more tulips! 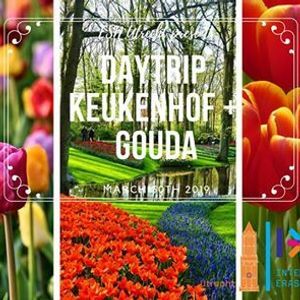 The 30th of March we’re going to surround ourselves with flowers, because the culture committee is taking you to Keukenhof! Keukenhof is a park which has more than 7 million flowers containing, amongst others, 800 different types of tulips! And with over 32 hectares of flowers there is more than enough to see. The theme of this year is Flower Power! 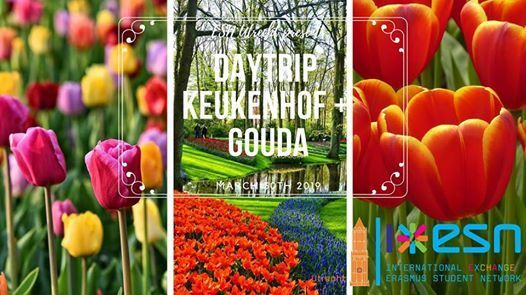 After having around 3,5-4 hours of free time to see all these beautiful flowers, gardens and exhibitions, we’ll head to Gouda, a city known from the Gouda cheese, where you’re free to discover the city on your own and maybe even check out the Cheese Museum if you feel like it! In the evening we’ll have dinner together before going back to Utrecht. The ticket sale for this daytrip will start soon. Make sure to buy your ticket fast, as we only have a limited amount of tickets! Please note that you need an ESNcard to join this daytrip.